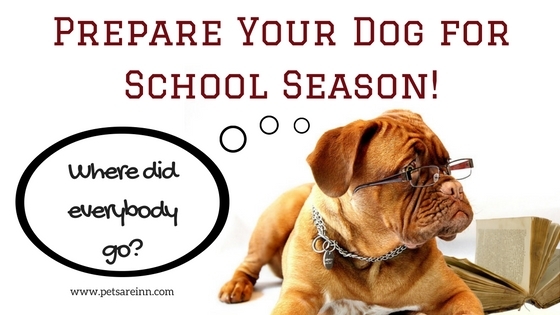 How to Get Your Dog Ready for the School Season! August is the month when many households prepare to go back to school. 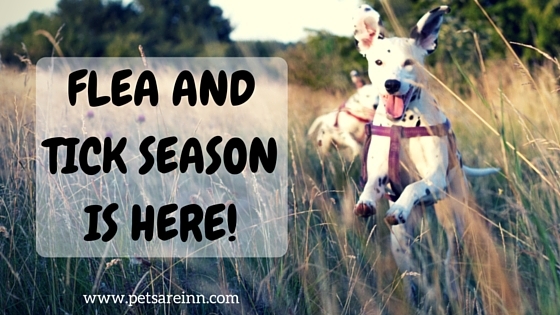 Amid the hustle and bustle of all the preparations, it's important not to forget your dog. Chances are the kids have been playing with him in the summer, meaning your dog was probably not lonely or bored. All of a sudden your dog sees their family companions putting on a backpack and heading out the door without them! Just like humans, dogs can get depressed. Be wary if your dog suddenly has less energy, seems listless, or won't eat. It's important he gets used to a new schedule. - Make sure before everyone leaves for the day that your dog goes for a morning walk to get some exercise. It may mean getting up 15 minutes earlier, but getting outside and playing for a few minutes can prevent destruction while you are gone. - For several weeks before school starts, leave your dog home alone for slightly longer periods of time so he gets used to NOT being the center of attention. - When it's time to leave, don't make a big fuss. If you get emotional, your dog will pick up on your body language that you are upset. - If possible, have someone let your dog out at mid-day as a break in the day. If no one in the family can do it, consider getting a dog walker. - When you come home, once again, don't make a big deal of it. Train your kids to NOT go to the dog's area as soon as they get home. 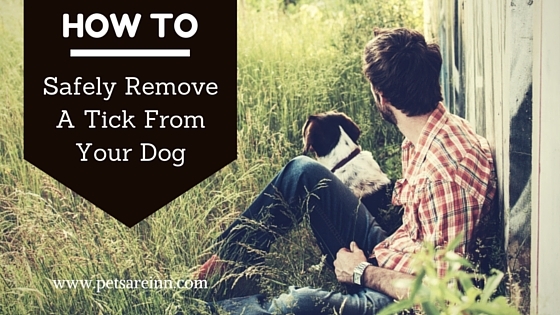 If possible, have them ignore the dog for a few minutes to allow him to settle down and prevent jumping. - After a few minutes, calmly greet your dog and take him out to go to the bathroom if needed. 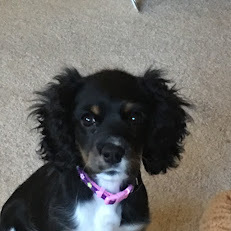 - It's easy to forget the dog in the evening as you settle down to do homework or cook dinner. Remember, your dog has been waiting for you all day and probably has a lot of pent-up energy. Take him out for some play time -a tired dog is generally a good dog. A bored dog = destruction! Although dogs may nap a lot during the day, it's important they have something to do while everyone is gone. Have your child give him a special toy right before he leaves. Food dispensing toys can be stuffed with a little peanut butter or cream cheese and can even be frozen for a long lasting treat! Dogs are natural foragers who enjoy looking for food on the ground. You can put treats around the house for him to find while you are gone. Every dog needs a safe place to stay during the day where they feel secure and comfortable. If your dog doesn't already have a place of his own, create one for him. Consider getting him a crate. Because dogs are descended from den-dwelling animals, a crate makes a natural shelter. If he is going to be left outside, consider purchasing a dog house so he'll have shelter in case of bad weather. And always, make sure he has plenty of clean water. If you follow these tips, your dog will experience less stress and separation anxiety when suddenly faced with a quiet house. For more tips, visit our other post here!